The UPDA is you and for you. As a Post-Doc at the University of Utah you are automatically a member of the UPDA and you can be as involved as you want within the organization. The UPDA focus is to serve and promote the social network and career development of Post-Docs at the University of Utah. The UPDA is a free, volunteer-run organization established on August 19, 2010. The purpose of the UPDA is to be a sustainable organization that represents, supports, and enhances the postdoc community at the University of Utah. Our mission is to promote the social network and career development of postdocs at the University of Utah. Help incoming postdocs acclimatize to Utah. Foster social interactions and communication between postdocs. Assist in driving career advancement. Be highly responsive to our members’ needs and issues of concern. Provide a forum for interaction between departmental faculty and postdocs. Represent postdocs to Utah Administration and on the National level. The UPDA is committed to supporting diversity and inclusiveness at the University of Utah. We recognize that a diverse postdoctoral community enhances the effectiveness of the university community. As stated in our bylaws, the UPDA does not discriminate on the basis of gender, race, religion, national origin, language, ancestry, creed, pregnancy, marital or parental status, sexual orientation or physical, mental, emotional or learning disability. All individuals in postdoctoral positions at the University of Utah are eligible to be members of and serve on the board of the UPDA. We strive to maintain a diverse set of board members, who represent various research disciplines, experiences, genders, and foreign national status. 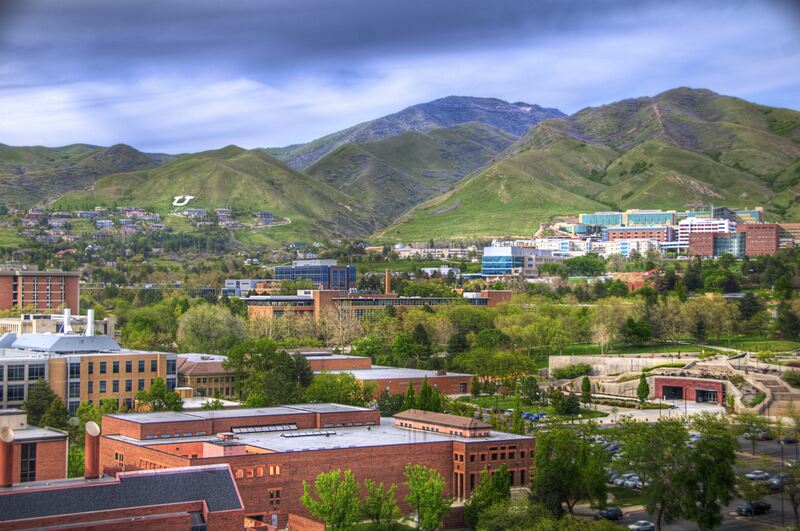 We believe that having a diverse set of board members allows us to best serve the diverse population of postdocs at the University of Utah.to your area of interest. For a look at our by-laws, click on the UPDA by-laws link. The UPDA was established on August 19, 2010 in order to strengthen University of Utah’s postdoctoral community by organizing social and professional development events. Currently, we host three large social events each year: Postdoc Appreciation Day, Winter Social, and Summer BBQ. These events provide an open forum for postdocs to meet colleagues from across campus. We also recently started hosting a monthly networking lunch to provide postdocs with a friendly forum to interact. To promote professional development, we launched a monthly Lunch & Learn series beginning in 2015. Through this series, we invite speakers to highlight university resources and host moderated panel discussions on topics of critical interest to the postdoctoral community. Check out summaries of past Lunch & Learns under Past Events. If you have suggestions for a topic for a future Lunch & Learn, e-mail the UPDA Board at upda@utah.edu. The UPDA was awarded the 2016 Leadership in Inclusive Excellence Trainee Award by the Office of Health Equity and Inclusion in the University of Utah Health Sciences. This award recognizes individuals and groups that demonstrate leadership in inclusive excellence through a variety of actions, such as nurturing a welcoming and inclusive campus climate, creating inclusive spaces for intercultural dialogue on campus, and spearheading inclusive programming. The UPDA was honored to be recognized for its professional development and social programming initiatives that bring postdocs together from throughout campus. The UPDA was recognized in the Spring 2016 Graduate School newsletter. Check out page 17 for our feature article. Interested in becoming more involved? We are looking for new board members! Our board meetings are the first Friday of every month, from 12:00 – 1:00 pm in HSEB 5100A. Don’t hesitate to contact us with any questions.